We seek justice for Roger Pratt, a British tourist who was murdered in Vieux Fort, St Lucia, in January 2014. Following the publication of Margaret’s latest justice for Roger video blog, which was uploaded to YouTube and posted to this website on 3rd May, we were contacted by a representative from the British Foreign & Commonwealth Office (FCO). He told us that the FCO was concerned that the video potentially misrepresented its advice to people visiting St Lucia and that it could antagonise the St Lucian authorities. He advised that we remove or amend the video. We have no wish to upset the good people of St Lucia. As we’ve said on several occasions, St Lucia is a beautiful place and the people there - on the whole - treated Margaret with great kindness. We are happy to clarify the section of Margaret’s statement we understand the St Lucia Government and FCO are particularly concerned about. 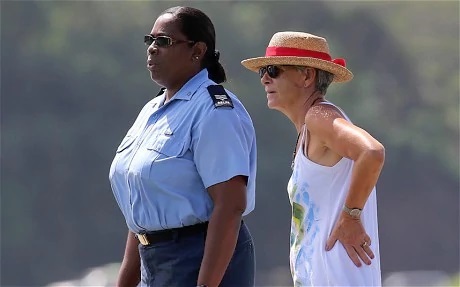 The assertion that “St Lucia is a dangerous place” is based on our experience, that of other victims of crime we have been in touch with and information published in local media, on the Caribbean Safety and Security Net website and by the Royal St Lucia Police Force. This is not the official position of the British Government or the FCO and we apologise if Margaret’s statement in any way indicated that it was. We also wish to put on public record that, while the FCO website says “only use licensed taxis and take particular care at late night street parties, especially during the festival season,” the FCO has not stated that St Lucia is any more dangerous than usual during festival season. We inferred from the FCO’s advice that there was a higher level of risk for visitors to St Lucia during the festival season and apologise that we did not make it clearer in our video that this was an inference and not a direct quote. Finally, we wish to make it abundantly clear that the FCO has never publicly stated that visitors should “just beware.” The FCO provides excellent advice for visitors to St Lucia on its website, which we have summarised below. We encourage anyone contemplating a trip to St Lucia to read it in full. Most visits are trouble-free, but there have been incidents of crime including murder, armed robbery and sexual assault. Make sure your accommodation is secure. This also applies if you are staying on a yacht. Be vigilant at all times. Take care when walking alone off the busy main roads and avoid isolated areas, including beaches, particularly after dark. Only use licensed taxis and take particular care at late night street parties, especially during the festival season. Don’t carry large amounts of cash or jewellery. If possible, leave valuables and travel documents in a safety deposit box or hotel safe. We would also like to reiterate a point that we have made time and again in our communications. We do not wish misfortune on St Lucia or its people. We simply seek justice for Roger Pratt, who was murdered in St Lucia in January 2014, and we seek justice for the four young men who were swiftly charged with Roger’s murder, and who have now been incarcerated without trial for more than four years. We also hope to encourage St Lucia to address the fundamental failings in its criminal justice system, which is clearly under resourced and unable to cope with the island’s worsening violent crime situation. The mistakes we are painfully aware of and long delays in bringing cases to court means that the system is failing both the victims and perpetrators of crime, and they are contributing to the island’s spiral of decline. Gangsters’ Paradise: Should tourists boycott St Lucia?